You probably have heard about Carnivore's weekday 1-for-1 lunch promo at their Marina Bay Sands and Vivocity branches. It's a pretty good deal at S$34++ per adult, S$15++ per child (noon to 3pm), so we only paid about S$20 nett per person. Promo is on until 22 July 2012. 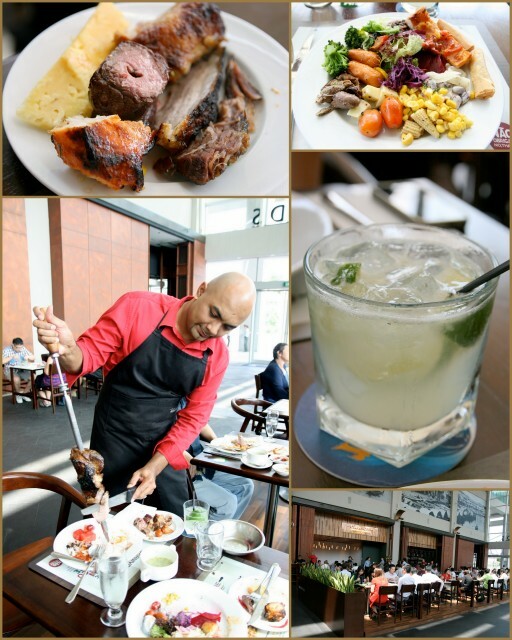 My story in Makanation tells you more about this Brazilian churrascaria experience. But be warned - places are fully booked way ahead. But try and score a late seating (like 1.30pm) and you might still get a chance (like we did).